Preventing and getting rid of wrinkles is certainly no easy feat, but it IS definitely possible! Expensive creams and serums will only break your bank, but this DIY anti aging cream will ensure your wallet stays nice and fat, while your wrinkles, crow’s feet, and fine lines diminish right before your eyes! We’ve found an amazing combination of all natural oils that, when used together, create the ultimate anti aging powerhouse! This DIY anti aging cream will only cost you about $30, which may seem like a lot, but it will last you for at least a year, and will work faster and a lot better than any commercial creams or serums. You can make as much as you like at a time, and it will last you depending on how often you want to use it, but once a night before bed is plenty. This recipe below should last you about a year. 20 drops rosehip essential oil OR rose essential oil (Rose essential oils is very expensive, since it takes about 22lbs of rose petals to make a small, 5 ml bottle, but it is extremely effective and one of the most valuable oils you can buy). Melt your coconut oil if it is solid. 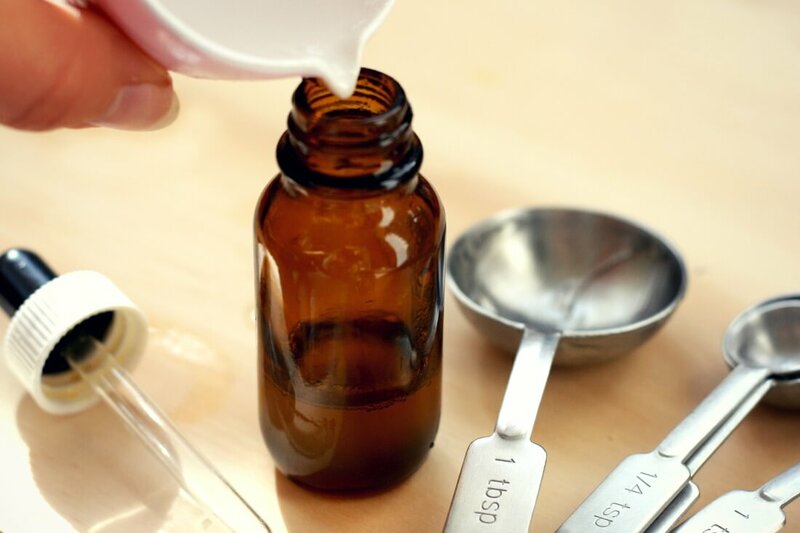 Break up your vitamin E capsules and mix in with the coconut oil and castor oil. Then add, your rosehip essential oil. Stir everything together and keep in a clean, airtight jar or container. Apply the oil around the eyes, mouth, and forehead every night before bed. The oil mixture is extremely potent, and will work very fast. Make sure to use it every single night and you should see results within two weeks! The instructions don’t include adding the castor oil. I assume you do mix it in as well. Hetal, you could skip the rosehip oil, yes, but just know that it plays a pretty big part in preventing wrinkles. That sounds like a great substitution Nancy!! Both oils are excellent in preventing wrinkles and fine lines, although just pure rose oil IS the most effective. Unfortunately, it’s very expensive, so most people opt for rosehip oil.